A few better pictures today. Click to embiggen for detail. 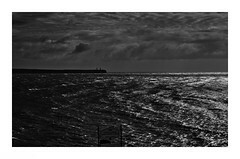 First is old Tramore town from the beach, out to the Metalman. That church on the horizon is a useful landmark for aiming toward Doneraile Head when swimming in from outside. 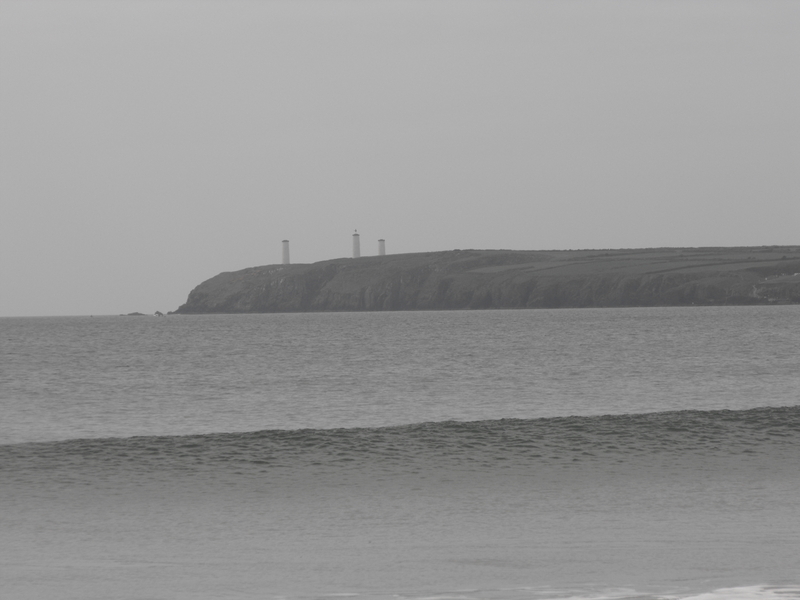 Next is Brownstown Head on the east side of the bay also obviously from the beach. There was a lovely steel grey sea and mixed with a hint of offshore. Because it’s somewhat overexposed, being due south, it looks darker than the day was, which was quite nice, if overcast. Next the Metalman, which you can’t see situated as clearly from much closer out at the Guillamenes. One of my two most regular swims, along with Clonea, is to swim from the Guillamenes out to Great Newtown Head and The Metalman, under those cliffs. (I’ve never seen anyone else swim out there unless I’ve taken them out, anyone else swimming from the Guillamenes will head in toward the pier). Under the cliffs are a couple of large sea caves into which it is possible to swim on a calm day. My favourite cave requires a swim around the headland. Finally it’s that stretch of coast from the Guillamenes to the Metalman. On the right is the car park and the steps leading down to the cove. From the cove out to headland 12 to 20 minutes depending on the day. The Metalman itself and the other two pillars were erected in the early 19th century after a famous shipwreck in the bay. In a large onshore storm, the Seahorse, a military transport, came east past the headland. 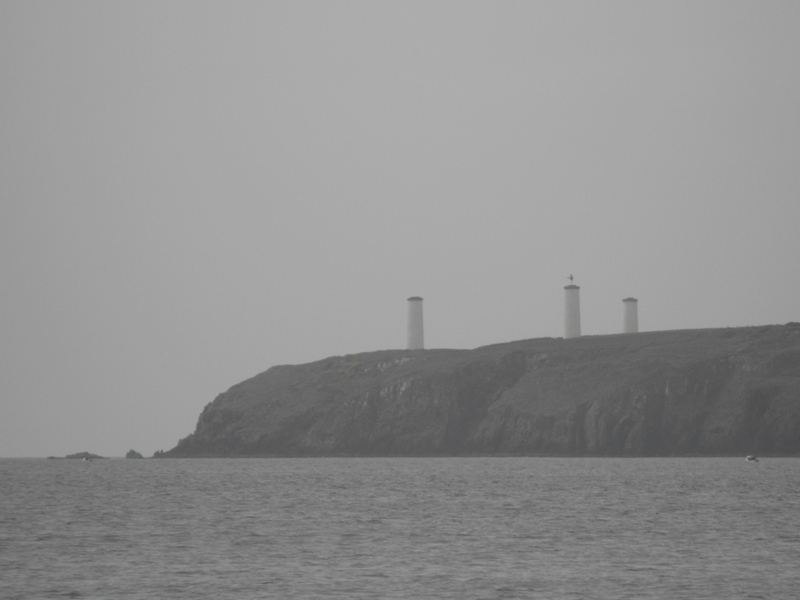 Thinking it was past Brownstown Head and into the safe Waterford Estuary, it was driven into the shallow bay and wrecked with the loss of about 350 lives, men, women and children and the Metalman was erected some years later to indicate that the next headland (Brownstown Head, which now has two pillars) was the headland to enter the estuary. enticing! for a long swim!